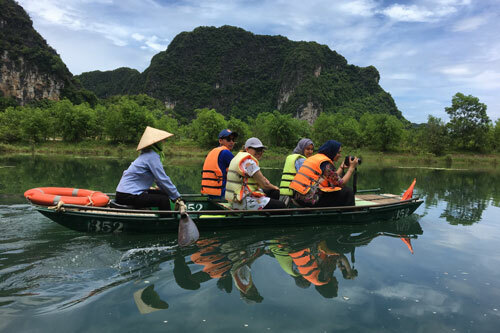 A cohort of 25 City students travelled to Vietnam for the Common Purpose Global Leader Experience (GLE) Programme. The City students joined up with 75 students from RMIT University, an Australian institution with campuses across South East Asia. “I was extremely fortunate to travel to Vietnam and be a part of the Programme. I applied for this trip because I wanted to develop my leadership abilities, meet new people and grow in confidence, not only in myself but in travelling! “As a Londoner, I feel privileged to be surrounded by a diverse group of people, but I had never travelled to Asia before, so I was interested in seeing how far I could push myself out of my comfort zone and succeed at something different with new people. “Our group came up with the idea called ‘BioETHanoi,’ an initiative promoting biofuel technology to counter street pollution in Hanoi. This idea is based on using renewable energy to sustain Vietnamese agriculture and street food, so leftover oils and foods waste from vendors can be recycled into bioethanol. “This trip taught me a lot about my ability to adapt to new situations, to meet new people from different cultures, of different ages, speaking different languages, and working collaboratively with them in a professional setting. “I feel more prepared for the prospect of work after university, particularly working abroad! 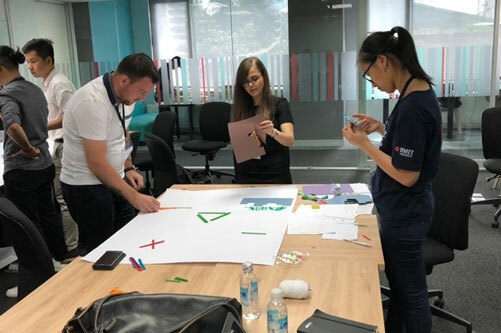 The GLE Programme took place at RMIT’s Hanoi campus, marking the first joint student project between the two universities since RMIT joined WC2 earlier this year. The WC2 Network brings together top universities located in major world cities in order to respond to the challenges and opportunities facing urban areas. RMIT was established in 1887 with the aim of bringing education to the working people of the city, with its main campus located in the heart of Melbourne’s central business district. "We are delighted to welcome RMIT to the WC2 network. The Network has 11 Universities from 11 different countries and having a university of the quality of RMIT join as the WC2 University from Australia will significantly enhance the network. “We look forward to the participation of staff and students from RMIT in the Annual Symposium and other WC2 events." To find out more about WC2 please contact Laura Southerland in the International Partnerships and Development Department.